Designed in Great Britain, it's $35 at Uncommon Goods. We'll see who loves it more - Marty or the cats! You are getting your very own PLANE!! How about you swing over to my place and take me for a ride? OMC, that is just too cool! Now, if we had one of those, Nicki would "eat" it. LOL. That is PAWSOME!!! That will make the bestest Chanukah gift, for sure! That is such fun. Have a fabulous Friday. I pretty recently saw those on fab.com too, but it isn't there now. Can't wait to see what they think of it once you get it home. It's sitting in a big box in the family room - I haven't had time to wrap it yet. Maxwell's been walking all over it trying to figure out how to open! Holy guacamole! Now that's what I call a great gift! OMC, that is AWESOME! It is going on my Christmas list! I saw that just the other day and IMMEDIATELY thought of you!!!!!!! That's so cute. Now, you can pretend to fly next to Mama. That is so cool! 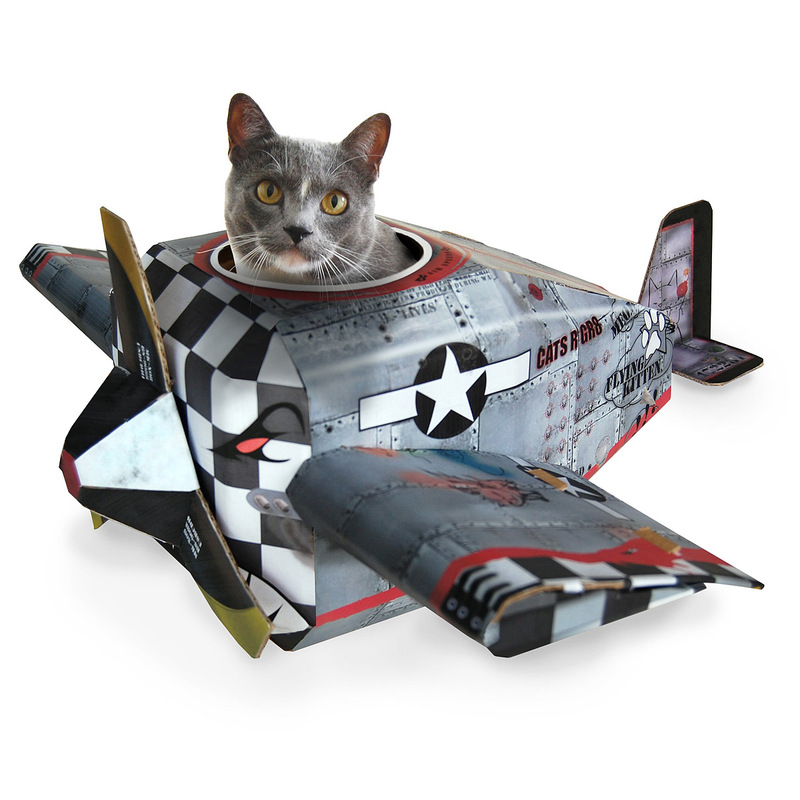 If we had that, we could use it to fly and visit our furiends instead of using our boogie mats! Oh my gosh is that awesome! That is the cutest thing I have seen for a cat! That is darn cool and would be good for zooming around visiting friends!